Well, you have come to the right place, The first thing to do is, of course, take a deep breath, and know that she really does not hate you. When we look at this clients question we can see that there are a couple of problems she is trying to solve. 2. the constant contact from the favored parent. I will address both issues separately. When you are dealing with an alienated child, all normal parenting goes right out the window. trying to convince them they are wrong, that they have been coached and even trying to defend yourself does not work. So let’s address her first issue and then her second. Now here is the tricky part. BE QUIET. No more responding, explaining and pleading. Simply speak your peace and move on. Alienated children will do whatever it takes to protect the favored parent. This is counter-intuitive but it works. If it does not work the first time repeat and then does the alternative, which, works like magic is to simply, not respond. This is also counter-intuitive. We are always trying to teach our children right from wrong and the appropriate way to treat other people. In a normal situation that works, however with alienated children you are in a whole different ballgame. 2. What do you do when the child is in constant communication with the other parent and won’t give up their phone? I see rejected parents constantly afraid of what would happen if they actually parented, this happens mainly because most parents swing from permissive parenting style to authoritarian parenting styles out of fear and frustration. Stop the madness, by sitting the children down and having “your attorney” speak to your children and explain to them, via the speaker phone, they are to give you their cell phones and that you will be keeping them for the duration of their time with you and they will get them back at the time they will be returning to the other parents home. Have you attorney explain to them that, the court has ordered the parenting time and that time is to be spent with the parent uninterrupted so that they have the opportunity to spend time with each parent. Have your attorney explain that they are not in trouble and they can call their other parent, from your cell phone or the house phone, if they need to speak to the other parent and have your attorney say to the children, “now please hand your phones over to your mom/dad now, it is important to comply with the court orders so that your other parent does not get into trouble with the judge. POWERFUL! and it works. Now some of you may be thinking, “I was told not to talk to the kids about what happens in court, or about the fact that we are in court, well under normal circumstances, I would agree, however, these children already know about court, and they have most likely heard a very skewed version of what the other parent wants them to believe. As you read these children told their mother to give up and she was going to lose in court like she always does. Armed with these tools, you can restore calm in your home and give your children the opportunity to relax and have fun with you, without the constant barrage of text messages and phone calls from the favored parent, which keeps the child, unstable. The cell phone is the favored parent’s new weapon, it is time to be bold, firm, and loving. Using these methods gives your children the opportunity to be children and they can’t be children if they are constantly under fire (attack) from the favored parent who will not give them a break. Remember, you are also their parent. 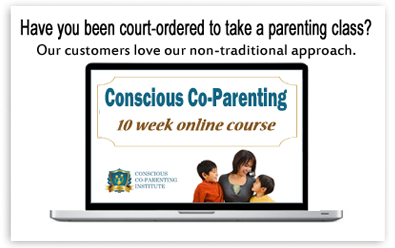 Traditional parenting styles do not work, while the child is under the influence of alienation, and so you must arm yourself with new conscious ways of being a parent so that you can empower your children to be the best people they can be in the world. Try it and see what happens. Post a comment or ask your own question, let me know how it worked out for you. But what do you do when the children won’t even communicate? These are my husband’s children, ages 8 and 14. They won’t make eye contact. They routinely refuse to answer questions or sometimes even acknowledge that they are being spoken to. They refuse to come into our house, although they won’t give any reason as to why, and will insist on only sitting on our front porch. They refuse all attempts to take them anywhere fun or do anything fun (movies, playing games, amusement parks, etc.) to try to create a positive experience – their mother has told them that movie theaters are too loud and will damage their hearing, and that amusement parks are full of germs and that there’s nothing there kids their age would enjoy. All they will accept is to be fed at a restaurant or if a gift is being bought for them. They’ve made it clear they’d rather not come at all, but that they know the court will make them. Visits are long, dreary, and mostly silent, although we try very hard to draw them out. They will occasionally lighten up briefly, but then always revert quickly to not interacting. They are also homeschooled and kept very isolated, so even things we can ask about in their lives are very limited. Everyone tells me, “Make it fun when they’re with you, so they’ll see the alienating things they’re being told aren’t true,” but how can you do that, when they refuse to interact or do anything fun? This is playing with fire. Yes, you can abuse the attorney privilege as such however the same game may be played by the other parent’s attorney so that removal of the phone is not allowed. This holds especially true when the alienating parent has full custody and the targeted parent has no parental rights (ie is not allowed to determine anything in the child’s best interest including restricting any form of communication from the other parent, whom usually has false allegations of abuse further arguing the immediate need for a phone to “make sure the child is safe”). Also, you must keep in mind that the parent who purchased and pays the cell phone bills ultimately has the legal right to do as he/she pleases. If this is you, you are in luck and may purchase a plan that blocks all calls/texts from the other parent. If not then you will not have much choice other than an attempt to unwillingly confiscate the kids’ phones. But be prepared to be attacked legally!